Hydraulic maintenance tools from the Bosch Rexroth South Africa Group of Companies are ideal for workshop and other maintenance in the mining, industrial and engineering markets. 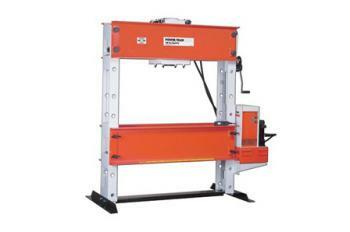 These specialist tools are made up of hydraulic maintenance tools and equipment like industrial, mechanical and hydraulic pulling equipment, hydraulic rams, pumps and workshop equipment, all supported with accessories. 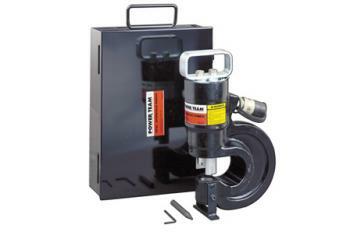 Power Team cylinders, in both single and double-acting types, are made from solid steel or aluminium, manufactured for medium- to extreme-duty applications. 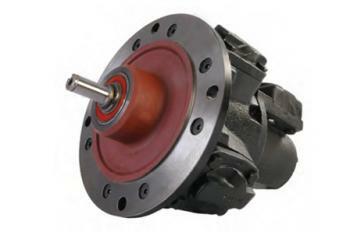 Compact single & double-speed hydraulic pumps increase your efficiency. Ideal for construction, mining and heavy industries. 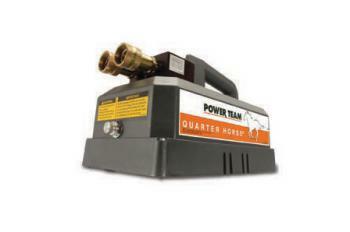 Power Team jacks comprise bottle, toe and other jacks and jack maintenance solutions. 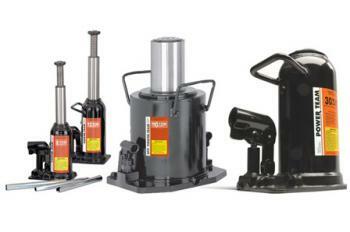 A comprehensive range for all heavy-duty lifting applications up to 110 tons. 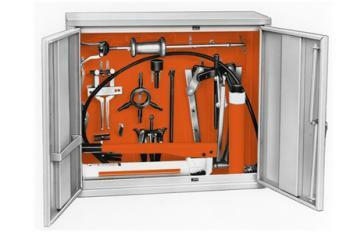 Hydraulic and mechanical tools increase productivity in workshop and heavy lifting applications with high-quality, precise solutions. Bolting solutions from Hytec comprise tensioners, nut splitters, wrench pumps & torque wrenches, enabling increased efficiency in difficult-to-reach places. 6 versatile air motor variants that achieve high power to weight rations, high torque & efficiency, and operate in temperatures from – 20 to 80 °C. 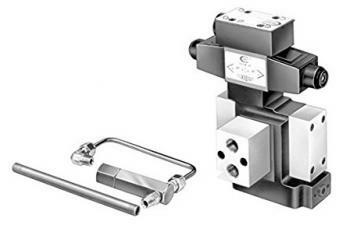 Valves from the Hytec Group comprise remote mounted valves, pump mounted valves and in-line valves, each with various model valves for any pneumatic application. 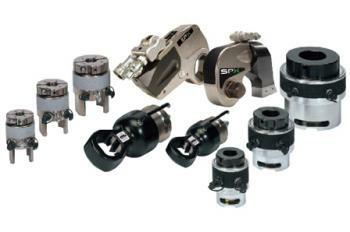 Bearing maintenance solutions that offer precise positioning and exceptional grip include puller sets, pullers and a range of bearing maintenance tools. 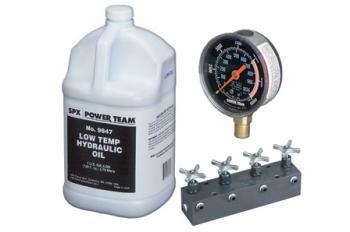 Power Team’s couplers, hydraulic fluids, gauges, hoses, manifolds and 700 bar fittings are quality-tested and approved to provide maximum support. The Bosch Rexroth South Africa Group of Companies’ extensive southern Africa branch network, managed by HYSA, the procurement and distribution arm for all companies in the Bosch Rexroth South Africa Group of Companies, ensures comprehensive product and parts availability and support across the region. This support and availability covers the Group’s entire hydraulic, pneumatic and electric product ranges, making sure that Hytec will get even the most specialised parts to its customers within 24 hours. The Bosch Rexroth South Africa Group of Companies offers fully accredited training through various platforms allowing its customers to choose the training type best suited to their needs – customer-specific training; training through tertiary institutions; or eLearning. Our technical trainers conduct customised training courses meet industry and customer needs. It can be tailored to improve specific skill sets and facilitates an in-depth understanding of hydraulic components and equipment. Africa’s mining, oil and gas, power and general support industries have been identified as key growth markets for the Bosch Rexroth South Africa Group of Companies. Bringing together Hytec and Bosch Rexroth, with more than 20 leading brands, enables the Group to deliver exceptional quality and very high service levels, which will result in an increased sub-Saharan African market share.